Here at Design Dental, you can expect to find the very best dentist Green Valley has to offer. Our goal is to give you the very best results possible on your dental work and to offer you a service of the highest quality. With many years of experience under our belt, we have the necessary expertise to make sure that the dental service you receive is superb. We have a knowledgeable team working for us and each one is ready to answer the questions you may have and to put your fears to rest. Our greatest asset here at Design Dental is our staff. They are a passionate lot and are very motivated to give it their all. Our dentists are all licensed and very experienced in their particular fields of practice, and our dental assistants have also all achieved their licenses. Each one of them has put in many hours of training and through the years, they have gained the experience needed to be really good at what they do. With such a wonderful team, it is no wonder then that our Green Valley dentist office is able to give you the dental healthcare you need. Our excellent services are our pride. We have purchased advanced technology with the aim of ensuring that the latest advancements in the dentistry are available to our clients. Our onsite laboratory gives us a further edge by ensuring that we can fabricate dentures and crowns, make adjustments, and do repairs and relines on the day that you come in. 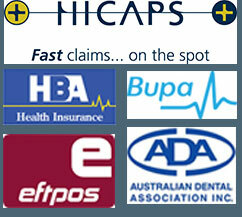 We provide both temporary and permanent dental solutions depending on the needs of our clients. At Design Dental, we have gone out of our way to ensure that the atmosphere is caring and relaxing. Our friendly staff is always on hand to help and to ease your anxieties. We endeavour to give you a comfortable and stress-free experience.